In the spirit of good TV DigiLabs Pro has added another video tutorial to the digiTUBE feed. Our newest addition covers the Administration Area including customizing your look and feel, setting up pricing and even your portal page. Got feedback: Please email me at kate@digilabspro.com if you have suggestions, comments and/or ideas. I would LOVE to hear them! This entry was posted in Support and tagged DigilabPro Admin, DigiLabs Pro, pro photographer, software tutorial, video tutorials on October 12, 2010 by DigiLabs Pro Blogger. This year DigiLabs Pro hosted it’s first webinar and virtual tradeshow featuring our new DigiLabs Pro software. In both cases, the use of video was a vital part of our presentations allowing us to share the incredible features of our software. The sales & support teams found that sharing the past recordings from these events with new DigiLabs Pro visitors, as well as current DigiLabs Pro customers, has been quite helpful. That got us to thinking… We are proud to introduce DigiTUBE. DigiTUBE is our own video tutorial channel where new, current and potential clients can view all of our videos and tutorials. We have some great videos up now on ordering, uploading and other cool things… Check it out for yourself! We’ve had a lot of fun creating and coming up with NEW ideas for these tutorials and now we’d love to hear from you! What type of tutorials would you like to see? Are the tutorials helpful? Your feedback is OH SO important to us so share away! Post your ideas and/or comments in the comments section below. This entry was posted in Support and tagged DigiLabs Pro, digilabspro software, pro photographer, software tutorial, Tips & Tricks, Tutorial on August 31, 2010 by DigiLabs Pro Blogger. We’re going Tutorial crazy over here at DigiLabs (well I am at least). Today we wanted to share with you a really incredible tool available in the DigiLabs Pro Software. The change book tool is a tool designated to allow you to switch from 1 style or size of book or album to another using your same design. In less than 10 seconds ALACAZAM: you can convert your 12×12 wedding album to a 10×10 Ashbury parent album. This entry was posted in Support and tagged Change book and album, DigiLabs Pro, DigiLabs Pro Software, pro photographer, software tutorial, Tutorial on June 30, 2010 by DigiLabs Pro Blogger. Many of the questions that we see in support are related to image resolution and how this translates to the printed product. There are a number of things related to resolution that are camera dependent (Megapixels, CCD size, RAW or jpeg). All of these different variables and numbers can get confusing. For real world printing applications, most of these don’t apply. It is actually pretty simple and easy to understand. Resolution is best understood by looking at an image. This image will be a certain number of pixels wide by a certain number of pixels high. Let’s say that our image is 600×400. This number by itself doesn’t mean much in relation to printing, until we combine this number with a printed size. The ideal size (for DigiLabs and most printing applications) is 300dpi (Dots per Inch). If we take our image at 600×400 and want to have it be 300dpi it means that the maximum size we can print that at is 2inches by 1 1/3rd inches. How we get to this number is dividing our resolution numbers by our DPI (600/300=2 |400/300=1.333). I know this is a lot of numbers and if you’re math-a-phobic, just know that calculators are your friends and that this is just a matter of simple division. That really covers the basics of image resolution…but wait…there’s more… If you are math-a-phobic or simply don’t want to pull out the calculator, our software makes this even easier. Bring an image into the DigiLabs Pro – My Photo Creations software and it will warn you when you get below a certain threshold. You can also see the DPI by looking in the bottom bar when that image is selected. Just make sure it is in the 300DPI range (a little higher or lower is okay: 250-350DPI). In the end, you will have a fantastic product and your clients will think you are a math whiz. Okay, maybe not the last part, but they will think you are photography genius (let’s face it, you are)! For questions, remember we are here to help with LIVE support, so pick up that phone and give us a call or send us an e-mail to support@digilabspro.com. We are here for you and happy to help. This entry was posted in Support and tagged DigiLabs Pro, image resolution, photo products, pro photographer, Professional Photographers, software tutorial on May 5, 2010 by DigiLabs Pro Blogger. 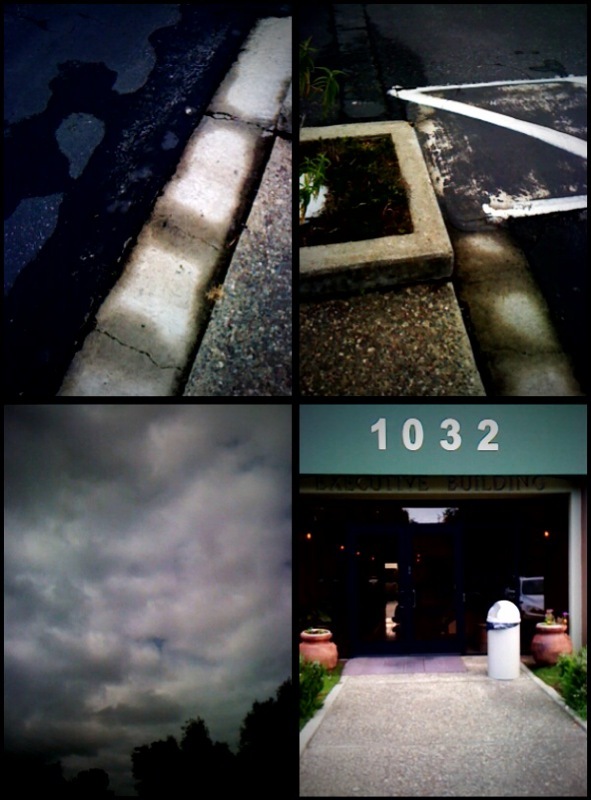 It’s springtime in Palo Alto, California which unfortunately means rainy days. You know that sun and fun image of California? I hate to break it to you but it’s not exactly true. This ho-hum weather is really affecting my overall team moral which is the reason for my aforementioned blogger’s block. I am sick of wearing sweaters. I am sick of eating soup. I would like to get my tan on. And THIS is the reason I cannot think about blogging topics. It’s the lack of Vitamin D.
In light of this situation, I have decided to do a Frequently Asked Question post. A mish-mosh of questions we commonly get here in Support and Sales that we can reference when you call us. We can now (politely) say: “Please see blog post ‘frequently asked questions’.” If there is a question I am missing here that you think should be considered as ‘commonly asked’ feel free to email me at kate@digilabspro.com and I will address in a future post and answer you. What is StudioShare and what do we do with it? StudioShare is DigiLabs iphone app. If you are a web services customer with DigiLabs you should tell your customers to download this app so they can share, view and order photos from their iPhone. You should also download this app if you are a web service customer. We have heard from many of our customers that they have used the iPhone app to show their sample images to prospective customers when they are out and about. It can be a very useful marketing tool when you are not near your portfolio. How can I add custom items, that I fulfill, in my online gallery price list? How does ordering work with these products? We recently added the ability to add custom single (high resolution image or coffee mug) and multiple (albums, gift certificates or packages) image items to your pricelist in your online galleries. You can add these products to your pricelist in your account administration under ‘ecommerce’. Click on the pricelist you’d like to edit and scroll all the way down. Add single image products under ‘Custom Single Photo Products’ and multiple image products under ‘Custom (Non-single-photo) Products’. These products will be charged by DigiLabs if we do your credit card charging but fulfilled by you. You will receive an email as you regularly do when orders are placed but it will say ‘some items from this order must be fulfilled by you’. What is an Event ID, Account ID and Gallery Description and what does it do? The Event ID is what we use to identify your gallery. Since an Event ID cannot be duplicated, you have to make sure it is unique in the DigiLabs system. If your gallery is password protected this is also the “password” your customer will use to enter the gallery. The Account ID is the way we identify and pull up your individual account. You were provided this information when you signed up via email. If you don’t know your Account ID, ask your Account Manager and they can assist you. The Gallery Description isthe title of your gallery that will appear on your portal page when people login to your gallery. This is customer facing and can be changed by visiting your account administration under the ‘view galleries’ area. Where can I see my billing history? This can be seen in real time in your account administration under the ‘billing history’ area. The newest items are at the top so if you need to find an older item, start at the bottom. Also, remember that an item in parentheses is a charge. If you need help understanding this further your Account Manager is trained to assist you with this. All Print/Proof Orders (through web galleries and through the software): 2 business days . For mounting of large prints or metallic prints, it is approximately 3-4 business days. Anza Albums: 5 business days. Marina Albums: 5 business days for photo covers and 10 business days for premium leather and vegan covers. Coffee Table Books: For all three lines we guarantee a 10-14 business days turnaround but the average turnaround is about 7 business days. Proof Books: Wire-O runs 2 business days and both leatherette and custom hard cover books take 7 business days. Gallery Wraps: 3-5 business days. Cards: Cards without coating take 2 business days. Cards with coating take 5-7 business days to print. Calendars: 2 business days for orders of 1-50 calendars. 7 business days with approval of hard proof for orders of 51 calendars or more. How do I check on the status of my order? Once your order has been uploaded and shopping cart completed you will receive a confirmation email. If you entered your Account ID when you ordered, you will be able to look it up by, logging into account administration and press on ‘track orders’. When the order has shipped you will receive an email from DigiLabs with tracking informaion or you can see this tracking link in the ‘track orders’ area. 30% off your first flush mount album order. In order to redeem this credit enter your DigiLabs Account ID in the Account ID field on the 1st page of the shopping cart when placing your order. Your discount will automatically apply. How can I access pricing on your website? We got a new website! Didn’t you notice? Well, either way, you can find pricing for any of the DigiLabs products by selecting the product page and scrolling down. You will see a pricing link in the bottom right hand of the page in gray. Click on this link and you will see the pricing expand. Click on the link again and you will see the pricing go away. Got some more questions? Feel free to email me at kate@digilabspro.com so we can update the blog! This entry was posted in Support and tagged digilabspro software, FAQ, professional photographer web galleries on April 14, 2010 by DigiLabs Pro Blogger.